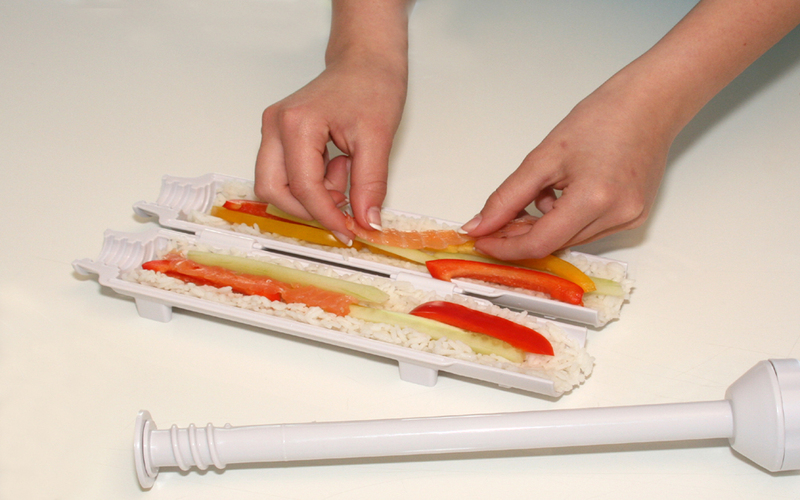 Sushi made ​​simple with the Sushezi, open the Sushezi fill it with sushi rice and fill the center with vegetables or fish. 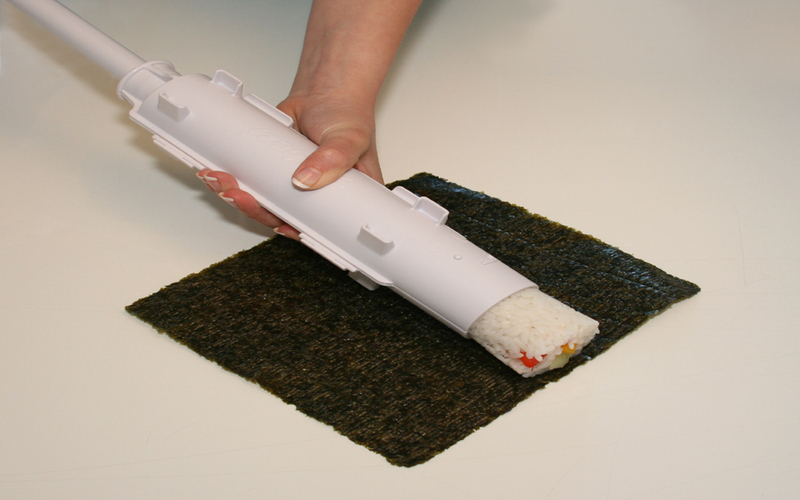 Close it carefully and push the sushi roll on the nori sheet. 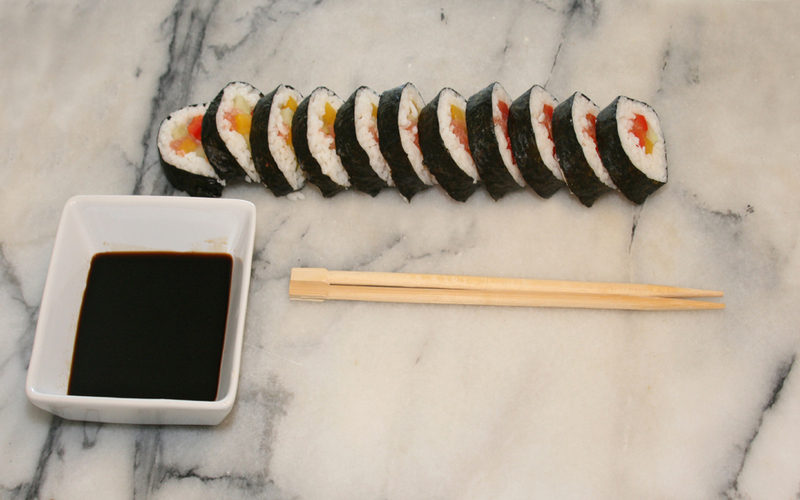 Roll up and ready is your perfectly made ​​Sushi. 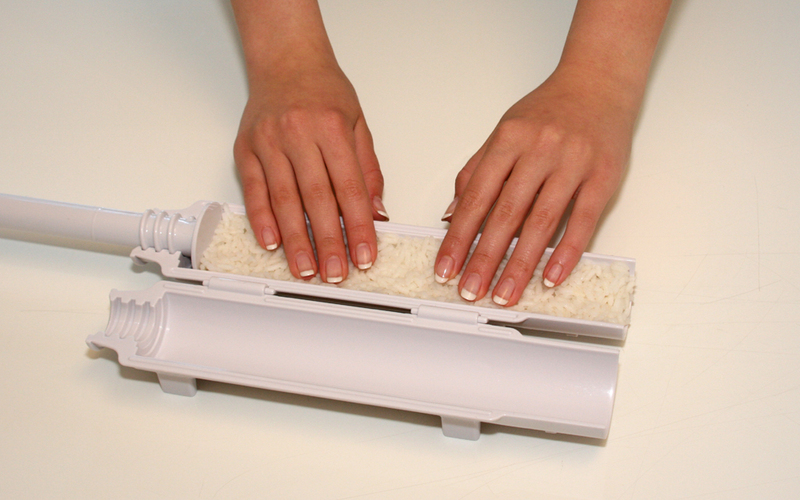 The Sushezi is completely dishwasher safe. 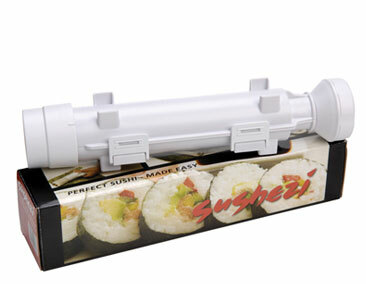 The package includes Sushezi and instructions.